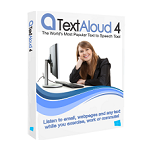 Description: TextAloud 3 is Text to Speech software for the Windows PC that converts your text from MS Word Documents, Emails, Web Pages and PDF Files into natural-sounding speech. You can listen on your PC or create audio files for use on iPods, iPhones, and other portable audio devices. 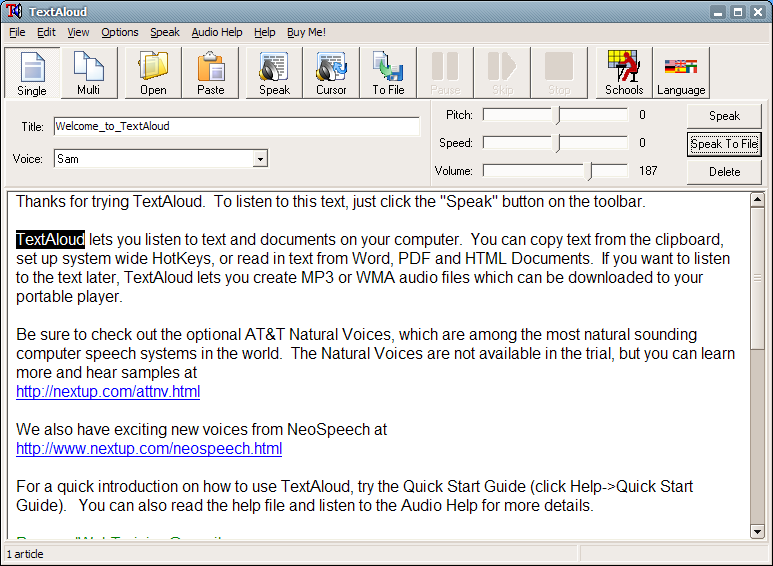 TextAloud 3 even has automatic iTunes syncing.